The American Enlightenment was a period of intellectual ferment in the thirteen American colonies in the 17th to 18th century, which led to the American Revolution, and the creation of the American Republic. The American Enlightenment was influenced by the 17th-century European Enlightenment and its own native American philosophy. According to James MacGregor Burns, the spirit of the American Enlightenment was to give Enlightenment ideals a practical, useful form in the life of the nation and its people. 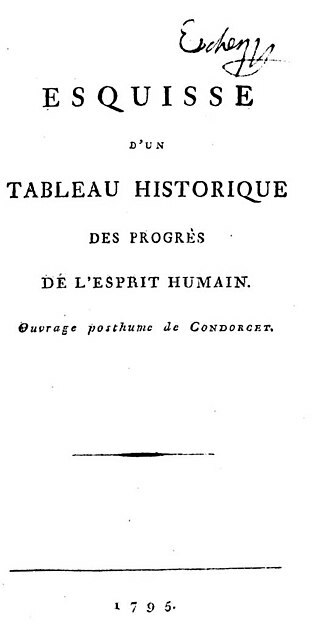 The Enlightenment applied scientific reasoning to politics, science, and religion. It promoted religious tolerance and restored literature, arts, and music as important disciplines worthy of study in colleges. 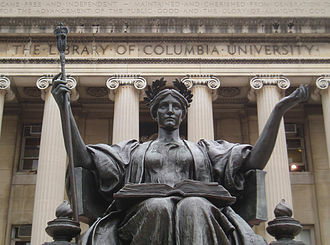 "New-model" American style colleges were founded such as King's College New York (now Columbia University), and the College of Philadelphia (now University of Pennsylvania). 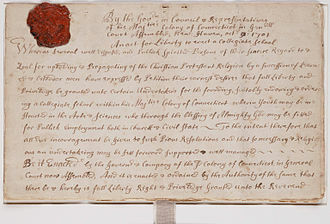 Yale College and the College of William & Mary were reformed. A non-denominational moral philosophy replaced theology in many college curricula. 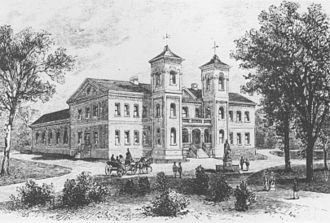 Even Puritan colleges such as the College of New Jersey (now Princeton University) and Harvard University reformed their curricula to include natural philosophy (science), modern astronomy, and mathematics. 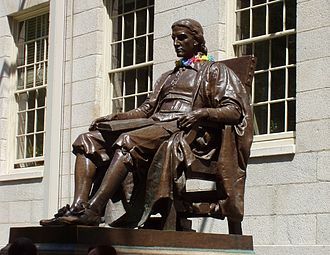 Among the foremost representatives of the American Enlightenment were presidents of colleges, including Puritan religious leaders Jonathan Edwards, Thomas Clap, and Ezra Stiles, and Anglican moral philosophers Samuel Johnson and William Smith. The leading political thinkers were John Adams, James Madison, Thomas Paine, George Mason, James Wilson, Ethan Allen, and Alexander Hamilton, and polymaths Benjamin Franklin and Thomas Jefferson. 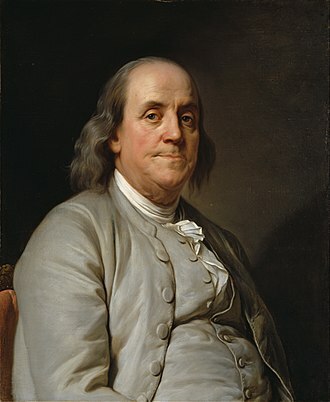 Leading scientists included Benjamin Franklin for his work on electricity, William Smith for his organization and observations of the Transit of Venus, Jared Eliot for his work in metallurgy and agriculture, the astronomer David Rittenhouse in astronomy, math, and instruments, Benjamin Rush in medical science, Charles Willson Peale in natural history, and Cadwallader Colden for his work in botany and town sanitation. Colden's daughter, Jane Colden, was the first female botanist working in America. Count Rumford was a leading scientist, especially in the field of heat. 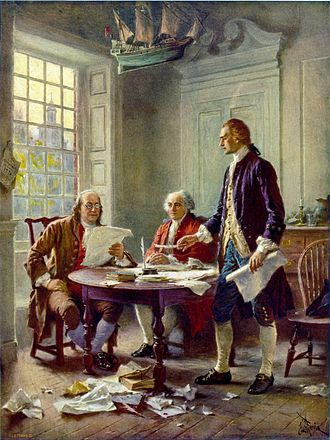 9 "Life, Liberty and the pursuit of Happiness"
The term "American Enlightenment" was coined in the post-World War II era. It was not used in the eighteenth century when English speakers commonly referred to a process of becoming "enlightened." Various dates for the American Enlightenment have been proposed, including the dates 1750–1820, 1765–1815, and 1688–1815. One more precise start date proposed is the date a collection of Enlightenment books by Colonial Agent Jeremiah Dummer were donated into the library of the small college of Yale at Saybrook Point, Connecticut on or just after October 15, 1714. 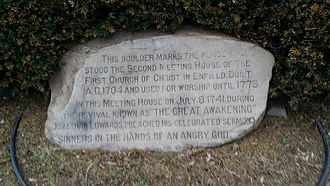 They were received by a young post-graduate student Samuel Johnson, of Guilford, Connecticut, who studied them. He found that they contradicted all his hard-learned Puritan learning. He wrote that, "All this was like a flood of day to his low state of mind", and that "he found himself like one at once emerging out of the glimmer of twilight into the full sunshine of open day". Two years later in 1716 as a Yale Tutor, Johnson introduced a new curriculum into Yale using the donated Dummer books. He offered what he called "The New Learning", which included the works and ideas of Francis Bacon, John Locke, Isaac Newton, Boyle, Copernicus, and literary works by Shakespeare, Milton, and Addison. Enlightenment ideas were introduced to the colonists and diffused through Puritan educational and religious networks especially through Yale College in 1718. 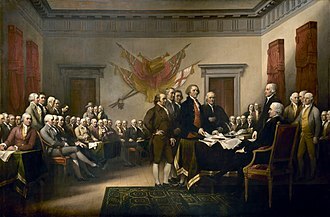 Enlightened Founding Fathers, especially Benjamin Franklin, Thomas Jefferson, James Madison and George Washington, fought for and eventually attained religious freedom for minority denominations. According to the founding fathers, the United States should be a country where peoples of all faiths could live in peace and mutual benefit. James Madison summed up this ideal in 1792 saying, "Conscience is the most sacred of all property." A switch away from established religion to religious tolerance was one of the distinguishing features of the era from 1775 to 1818. 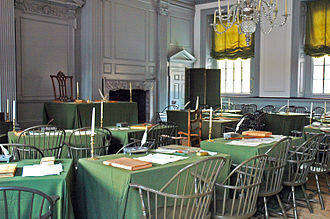 The passage of the new Connecticut Constitution on October 5, 1818, overturned the 180-year-old "Standing Order" and The Connecticut Charter of 1662, whose provisions dated back to the founding of the state in 1638 and the Fundamental Orders of Connecticut; it has been proposed as a date for the triumph if not the end of the American Enlightenment:). 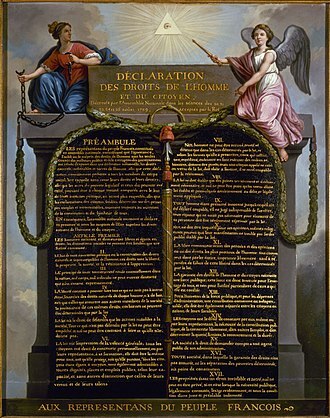 The new constitution guaranteed freedom of religion, and disestablished the Congregational church. Between 1714 and 1818 a great intellectual change took place that changed the British Colonies of America from a distant backwater into a leader in the fields of moral philosophy, educational reform, religious revival, industrial technology, science, and, most notably, political philosophy. It saw a consensus on a "pursuit of happiness" based political philosophy. 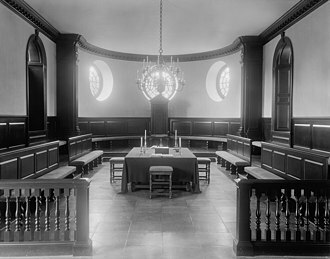 After 1780, the Federal-style of American Architecture began to diverge from the Georgian style and became a uniquely American genre; in 1813, the American architect Ithiel Town designed and in 1814–1816 built the first Gothic Style church in North America, Trinity Church on the Green in New Haven, predating the English Gothic revival by a decade. In the fields of literature, poetry, music, and drama some nascent artistic attempts were made, particularly in pre-war Philadelphia, but American (non-popular) culture in these fields was largely imitative of British culture for most of the period and is generally considered not very distinguished. 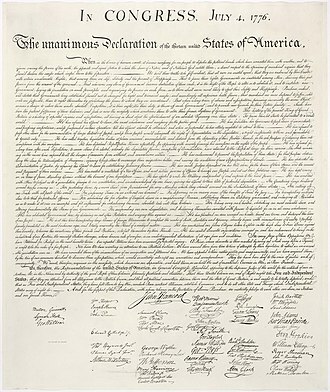 Politically, the age is distinguished by an emphasis upon economic liberty, republicanism and religious tolerance, as clearly expressed in the United States Declaration of Independence. Attempts to reconcile science and religion resulted in a rejection of prophecy, miracle, and revealed religion, resulting in an inclination toward deism among some major political leaders of the age. 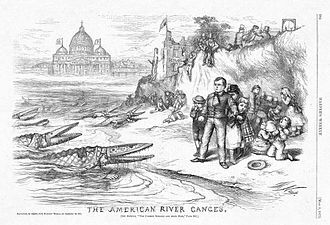 American republicanism emphasized consent of the governed, riddance of the aristocracy, and fear of corruption. It represented the convergence of classical republicanism and English republicanism (of 17th century Commonwealthmen and 18th century English Country Whigs). The Whig canon and the neo-Harringtonians, John Milton, James Harrington and Sidney, Trenchard, Gordon and Bolingbroke, together with the Greek, Roman, and Renaissance masters of the tradition as far as Montesquieu, formed the authoritative literature of this culture; and its values and concepts were those with which we have grown familiar: a civic and patriot ideal in which the personality was founded on property, perfected in citizenship but perpetually threatened by corruption; government figuring paradoxically as the principal source of corruption and operating through such means as patronage, faction, standing armies (opposed to the ideal of the militia); established churches (opposed to the Puritan and deist modes of American religion); and the promotion of a monied interest—though the formulation of this last concept was somewhat hindered by the keen desire for readily available paper credit common in colonies of settlement. The Whig canon and the neo-Harringtonians, John Milton, James Harrington and Sidney, Trenchard, Gordon and Bolingbroke, together with the Greek, Roman, and Renaissance masters of the tradition as far as Montesquieu, formed the authoritative literature of this culture; and its values and concepts were those with which we have grown familiar: a civic and patriot ideal in which the personality was founded on property, perfected in citizenship but perpetually threatened by corruption; government figuring paradoxically as the principal source of corruption and operating through such means as patronage, faction, standing armies (opposed to the ideal of the militia), established churches (opposed to the Puritan and deist modes of American religion) and the promotion of a monied interest—though the formulation of this last concept was somewhat hindered by the keen desire for readily available paper credit common in colonies of settlement. A neoclassical politics provided both the ethos of the elites and the rhetoric of the upwardly mobile, and accounts for the singular cultural and intellectual homogeneity of the Founding Fathers and their generation. 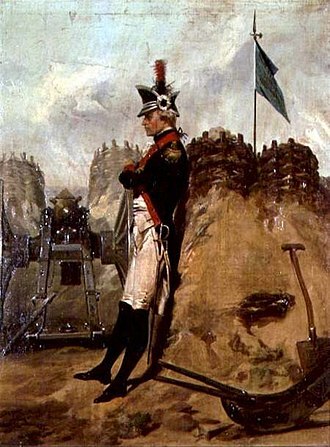 By abandoning English constitutionalism and creating a new republic based on the rights of the individual, the North Americans introduced a new force in the world. Ideas spread most rapidly when they have found adequate concrete expression. Thus republicanism entered our Romanic/Germanic world... Up to this point, the conviction had prevailed in Europe that monarchy best served the interests of the nation. Now the idea spread that the nation should govern itself. But only after a state had actually been formed on the basis of the theory of representation did the full significance of this idea become clear. All later revolutionary movements have this same goal... This was the complete reversal of a principle. Until then, a king who ruled by the grace of God had been the center around which everything turned. Now the idea emerged that power should come from below... These two principles are like two opposite poles, and it is the conflict between them that determines the course of the modern world. In Europe the conflict between them had not yet taken on concrete form; with the French Revolution it did. 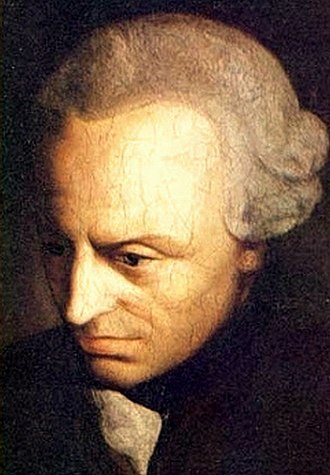 Both the Moderate Enlightenment and a Radical or Revolutionary Enlightenment were reactions against the authoritarianism, irrationality, and obscurantism of the established churches. 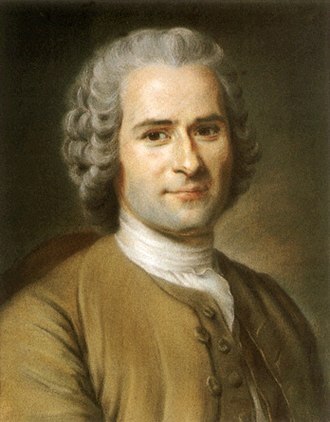 Philosophers such as Voltaire depicted organized Religion as hostile to the development of reason and the progress of science and incapable of verification. An alternative religion was deism, the philosophical belief in a deity based on reason, rather than religious revelation or dogma. It was a popular perception among the philosophes, who adopted deistic attitudes to varying degrees. 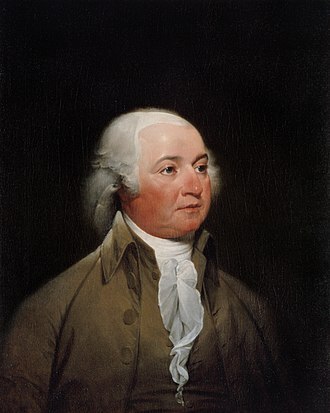 Deism greatly influenced the thought of intellectuals and Founding Fathers, including John Adams, Benjamin Franklin, perhaps George Washington and, especially, Thomas Jefferson. 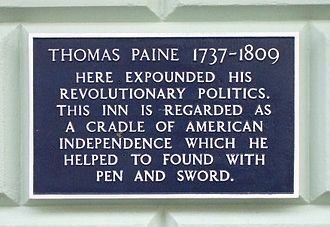 The most articulate exponent was Thomas Paine, whose The Age of Reason was written in France in the early 1790s, and soon reached the United States. 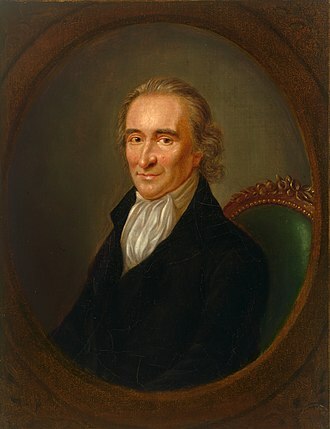 Paine was highly controversial; when Jefferson was attacked for his deism in the 1800 election, Democratic-Republican politicians took pains to distance their candidate from Paine. Unitarianism and Deism were strongly connected, the former being brought to America by Joseph Priestley, the oxygen scientist. Doctor Samuel Johnson called Lord Edward Herbert the "father of English Deism". ^ Burns, James MacGregor (2013). Fire and Light: How the Enlightenment Transformed Our World. Macmillan. p. 132. ISBN 9781250024909. ^ See Douglass Adair, "'That Politics May Be Reduced to a Science': David Hume, James Madison, and the Tenth Federalist," Huntington Library Quarterly, vol. 20, no. 4 (1957): 343–60; and Mark G. Spencer, "Hume and Madison on Faction," The William and Mary Quarterly, 3rd ser., vol. 59, no. 4 (2002): 869–96. ^ Isaac Kramnick, Ideological Background," in Jack. P. Greene and J. R. Pole, The Blackwell Encyclopedia of the American Revolution (1994) ch. 9; Robert E. Shallhope, "Republicanism," ibid ch. 70. ^ Locke, John (1690). 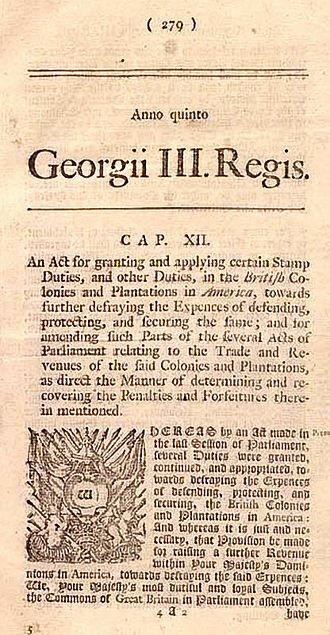 Two Treatises of Government (10th edition). Project Gutenberg. Retrieved May 5, 2018. Ralston, Shane "American Enlightenment Thought" (2011), Internet Encyclopedia of Philosophy. Winterer, Caroline. "What Was the American Enlightenment?" in The Worlds of American Intellectual History, eds. Joel Isaac, James Kloppenberg, Michael O'Brien, and Jennifer Ratner-Rosenhagen (New York: Oxford University Press, 2016): 19-36. George Mason was a Virginia planter and politician, and a delegate to the U. S. Constitutional Convention of 1787, one of three delegates who refused to sign the constitution, the Virginia Declaration of Rights, which Mason principally authored, served as a basis for the United States Bill of Rights, of which he has been deemed the father. 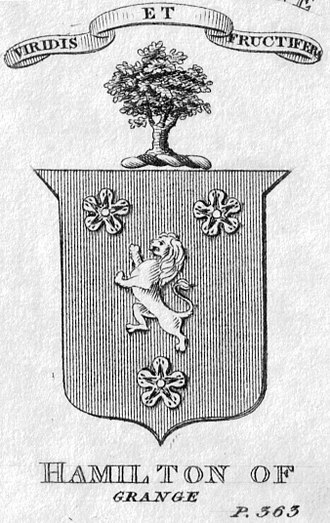 Mason was born in 1725, most likely in what is now Fairfax County and his father died when he was young, and his mother managed the family estates until he came of age. 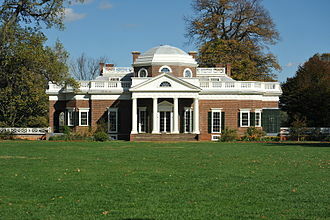 He married in 1750, built Gunston Hall, and lived the life of a squire, supervising his lands, family. He briefly served in the House of Burgesses and involved himself in community affairs, Mason prepared the first draft of the Declaration of Rights in 1776, and his words formed much of the text adopted by the final Revolutionary Virginia Convention. 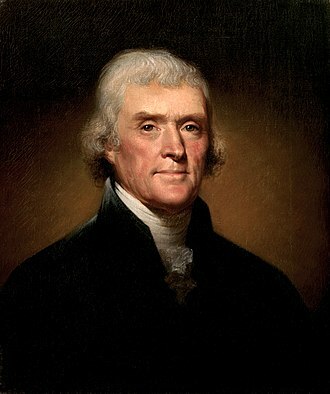 He wrote a constitution for the state, Thomas Jefferson and others sought to have the convention adopt their ideas, Mason was named one of his states delegates to the Constitutional Convention and traveled to Philadelphia, his only lengthy trip outside Virginia. Many clauses in the document bear his stamp, as he was active in the convention for months before deciding that he could not sign it, long obscure, Mason is now recognized for his contributions to the United States, and to Virginia. George Masons great-grandfather, George Mason I, had been a Cavalier, militarily defeated in the English Civil War and he had been born in 1629 at Pershore, in the English county of Worcestershire. His son, George Mason II, was the first to move to what in 1742 became Fairfax County, George Mason III served in the House of Burgesses and, like his father, was county lieutenant. George Mason IVs mother, Ann Thomson Mason, was the daughter of a former Attorney General of Virginia who had immigrated from London and was of a Yorkshire family. The Masons lived in a colonial Virginia that had few roads, as most commerce was carried on Chesapeake Bay or along the waters of its tributaries, such as the Potomac, most settlement took place near the rivers, through which planters could trade with the world. Old Saybrook is a town in Middlesex County, United States. The population was 10,242 at the 2010 census, the trading post was named Kievits Hoek, or Plovers Corner. 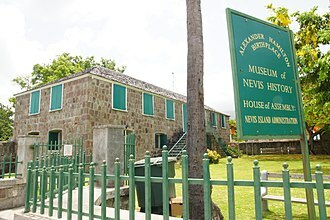 Kievits Hoek was soon abandoned as the Dutch consolidated settlement at New Amsterdam, in 1633, Fort Goede Hoop, was established at present-day Hartford. The Pequot siege of Saybrook Fort took place from September 1636 to March 1637 during the Pequot War, following the August 1636 Massachusetts Bay attack on Manisses and Western Niantic villages, the Pequot retaliation fell on the English at Saybrook. 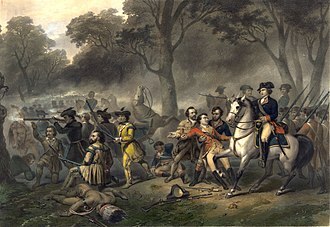 During an eight-month time period, the Pequot killed and wounded more than twenty English at, during the Siege and Battle of Saybrook Fort, the Pequot and English assessed each others military capabilities, and adjusted counter-tactics. Each side’s tactical modifications show a degree of sophistication, planning. Lessons learned during the siege of Saybrook escalated the Pequot War in Connecticut Colony, the Saybrook Colony was established in late 1635 at the mouth of the Connecticut River, in what is today Old Saybrook and environs. Winthrop was aided by Colonel George Fenwick and Captain Lion Gardiner, as the principals of the group who had planned to settle the colony were supporters of Oliver Cromwell and remained in England during the English Civil War, the colony struggled. 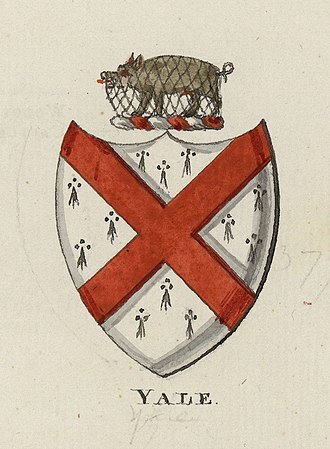 In 1644, Fenwick agreed to merge the colony with the more vibrant Connecticut Colony a few miles up river, the design of the Flag of Connecticut comes from the seal of Saybrook Colony. The seal was brought from England by Colonel George Fenwick, and depicted 15 grapevines, in 1647 Mason assumed command of Saybrook Fort which controlled the main trade and supply route to the upper river valley. The fort promptly and mysteriously burned to the ground but another improved fort was built nearby. He spent the next twelve years there and served as Commissioner of the United Colonies, as the military officer, magistrate. In 1659, almost all settlers from Saybrook under the leadership of Major John Mason, purchased land from Uncas, sachem of the Mohegan tribe, removed to and founded Norwich, on October 9,1701 the Collegiate School of Connecticut was chartered in Old Saybrook. The relationship between religion and science has been a subject of study since classical antiquity, addressed by philosophers, theologians and others. Both science and religion are social and cultural endeavors that vary across cultures and have changed over time. Most scientific and technical innovations prior to the revolution were achieved by societies organized by religious traditions. Elements of the method were pioneered by ancient pagan, Islamic. During the Islamic Golden Age foundations for the method were laid by Ibn al-Haytham. Roger Bacon, who is credited with formalizing the scientific method, was a Franciscan friar. Hinduism has historically embraced reason and empiricism, holding that science brings legitimate, confucian thought has held different views of science over time. Most Buddhists today view science as complementary to their beliefs and this thesis is held by some contemporary scientists such as Richard Dawkins, Steven Weinberg and Carl Sagan, and some creationists. While the conflict thesis remains popular for the public, it has lost favor among most contemporary historians of science. Many scientists and theologians throughout history, such as Francisco Ayala, Kenneth R. Miller, public acceptance of scientific facts may be influenced by religion, many in the United States reject the idea of evolution by natural selection, especially regarding human beings. It was in the 19th century that the terms Buddhism, Taoism, the term scientist was first coined by the naturalist-theologian William Whewell in 1834 and it was applied to those who sought knowledge and understanding of nature. From the ancient world, starting with Aristotle, to the 19th century, even in the 19th century, a treatise by Lord Kelvin and Peter Guthrie Taits, which helped define much of modern physics, was titled Treatise on Natural Philosophy. In the 19th century, Max Müller noted that what is called ancient religion today, for example, there is no precise equivalent of religion in Hebrew, and Judaism does not distinguish clearly between religious, racial, or ethnic identities. The Sanskrit word dharma, sometimes translated as religion, means law or duty, throughout classical South Asia, the study of law consisted of concepts such as penance through piety and ceremonial as well as practical traditions. 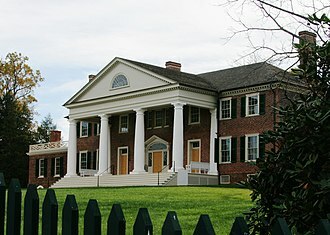 Federal-style architecture is the name for the classicizing architecture built in the newly founded United States between c.1780 and 1830, and particularly from 1785 to 1815. This style shares its name with its era, the Federal Period, the name Federal style is used in association with furniture design in the United States of the same time period. The style broadly corresponds to the classicism of Biedermeier style in the German-speaking lands, Regency architecture in Britain, in the early American republic, the founding generation consciously chose to associate the nation with the ancient democracies of Greece and the republican values of Rome. Grecian aspirations informed the Greek Revival, lasting into the 1850s, American Federal architecture typically uses plain surfaces with attenuated detail, usually isolated in panels and friezes. It had a flatter, smoother façade and rarely used pilasters and it was most influenced by the interpretation of ancient Roman architecture, fashionable after the unearthing of Pompeii and Herculaneum. Ithiel Town was a prominent American architect and civil engineer. One of the first generation of architects in the United States. His work, in the Federal and revivalist Greek and Gothic revival architectural styles, was influential, Town was born in Thompson, Connecticut to Archelaus Town, a farmer, and Martha Town. He trained with the eminent Asher Benjamin in Boston and began his own career with the Asa Gray House. His earliest important architectural works include Center Church, and Trinity Church and he demonstrated his virtuosity as an engineer by constructing the spire for Center Church inside the tower and raising it into place in less than three hours using a special windlass. Trinity Church, built from local seam-faced trap rock and topped with a tower, was one of the earliest Gothic Revival churches in America. 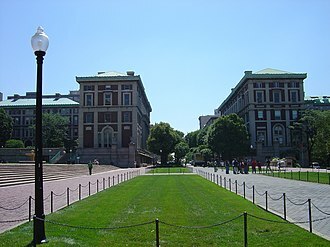 In 1825, Town became one of the members of the National Academy of Design and was awarded an honorary Master of Arts degree from Yale University. On January 28,1820, Town was granted a patent for a lattice bridge. The design was of importance because it could be built quickly by relatively unskilled workers from readily available material. 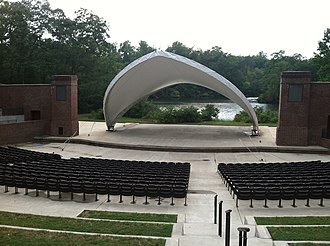 The design avoided the need for the piers needed for stone arches. The design was known throughout the world and made Town wealthy. Many other extant covered bridges employ Towns basic design, the lattice is sometimes called a truss, although it lacks vertical members. Town traveled in Europe during this period, the firm lasted until 1835, for eighteen months in 1832 and 1833, it operated as Town and Dakin, when James H. Dakin joined the firm. 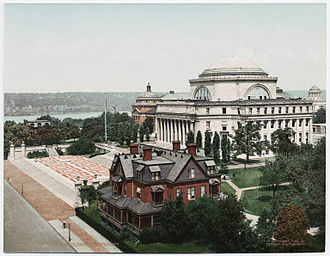 Their works included the state capitol in New Haven, the city hall and Wadsworth Atheneum in Hartford, the buildings of Indiana, and North Carolina. Custom House, now Federal Hall National Memorial, in New York City, during this time, Town designed the Potomac Aqueduct in Washington, D. C. which allowed fully loaded canal boats to cross the Potomac River. It was considered one of the most remarkable engineering feats of the time, the library was amassed at a time when only a handful of significant architecture books had been published in America. Samuel Johnson was a clergyman, linguist, encyclopedist and philosopher in colonial America. 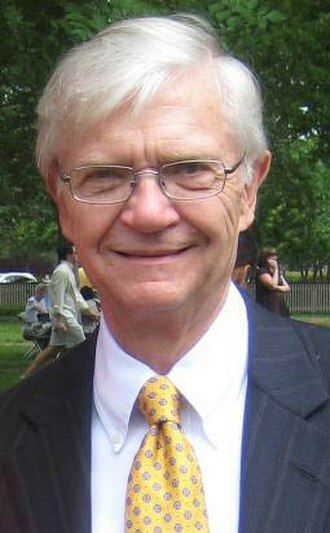 Johnson was born in Guilford, the son of a miller, Samuel Johnson Sr. and great-grandson of Robert Johnson. But it was his grandfather William Johnson, an assemblyman, village clerk, grammar school teacher, militia leader, judge. 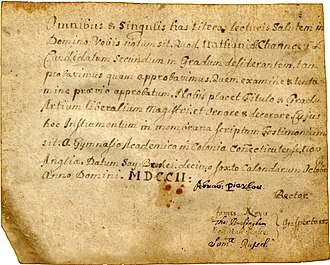 There he studied the orthodox Puritan theology of Johannes Wolleb and William Ames and he graduated in 1714 with a bachelors degree, and in 1717 was awarded a masters degree. 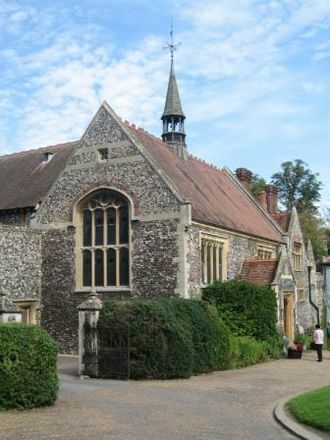 Johnson began teaching school in Guilford in 1713, even while a student a Yale. 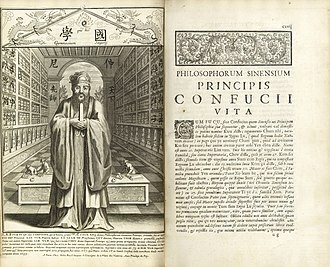 He would continue to teach children and adults all this life, in 1714, he began to write a short work titled Synopsis Philosophiae Naturalis summing up what the Puritan Mind knew of natural philosophy. It was an exploration of all knowledge available to Johnson based on the methods of the Reformation logician Petrus Ramus. His work on this exploration of the Puritan New England Mind would eventually result in 1271 hierarchically arranged thesis. It has been called by Norman Fiering “the best surviving American example of student application of Ramist method to the body of human knowledge”. His work on the Encyclopaidia was interrupted when a donation of 800 books collected by Colonial Agent Jeremiah Dummer was sent to Yale late in 1714. He discovered Francis Bacon’s Advancement of Learning, the works of John Locke and Isaac Newton and other Enlightenment era authors not known to the tutors and graduates of Puritan Yale and it was prefixed by a hierarchical Table or map of the intellectual world outlining the sum of all knowledge. It would be the first of a series of tables categorizing the sum of knowledge into ever more complex tables used for both categorizing knowledge for libraries and to define curriculum in schools, in 1716, Johnson was appointed the senior tutor at Yale. Founded in 1701, Yale was located on a neck of land in Saybrook. 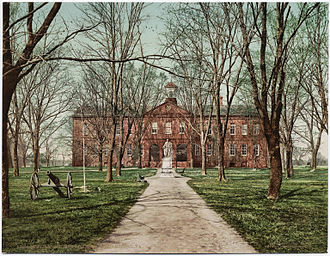 By 1716, Saybrook Point was considered too small to handle the needs of the growing school, Connecticut Governor Gurdon Saltonstall and seven Yale trustees proposed moving the college to New Haven, Connecticut. The platforms at the Old Saybrook train station. A Christian flag displayed alongside the flag of the USA next to the pulpit in a church in California. Note the eagle and cross finials on the flag poles.